Get thicker, fuller looking hair in seconds. No gimmicks. No false promises. Just get great results with Fuzze! 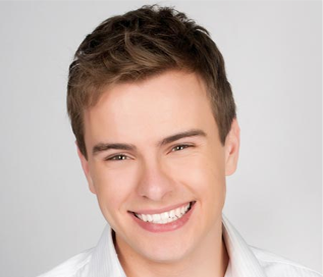 Join the millions of other people who already know the secret to regaining their hair. Get thicker, fuller looking hair in seconds and get your confidence back. No gimmicks. No false promises. Just get great results with Fuzze. 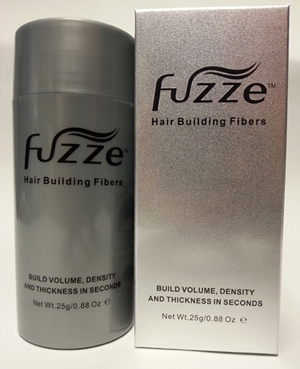 Fuzze uses 2nd generation hair building fibers to naturally make your hair appear thicker and fuller. There are no harsh chemicals and no strong odors. In less than a minute, have a full head of hair that looks just as natural as your own. Fuzze hair building fibers attach to your existing hair to instantly enhance and build-upon what is already there. Because we use the latest 2nd generation hair fibers, you can look good and feel confident on a windy day, during a rainstorm, or even outside playing sports. 2nd generation hair fibers have developed from years of research. We examined what was on the market and found some major flaws. The two main alternatives to the 2nd generation hair fibers are Keratin based (which uses many bactericides) and plant based (which don’t provide optimal coverage). The 2nd generation hair building fibers have combined the strengths from the two and removed the issues that plagued consumers. Using 2nd generation hair building fibers, Fuzze takes the best components and makes a superior product to those already on the market. Try the latest in hair building fiber products. Try Fuzze Hair Fibers. We guarantee that you will be pleased with the results. No Bald Patches! 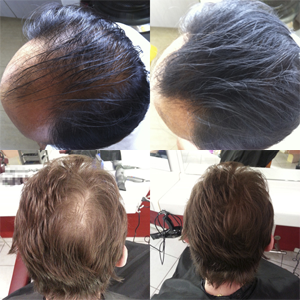 No Thinning Hair Areas! Only Fuller and Thicker Hair!! Please type your email address below and we will keep you posted on latest featured topics and web specials.